Megalo 50 is a multi-purpose two-player arcade cabinet released by Sega. It is suspected to have been released around 1992. 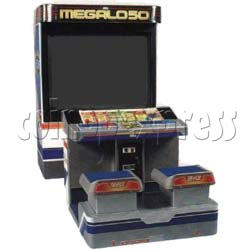 The Megalo 50, as would become a staple in the Megalo series of cabinets, differs from its competition by projecting the image of a game onto a large screen.